In this exciting double album package-Ecstasy: the fire of devotion and Stillness: the journey within-best-selling chantmaster Robert Gass (over 600,000 albums sold!) brings to life the remarkable world of traditional and contemporary chant with 25 tracks from the world's greatest chant artists. 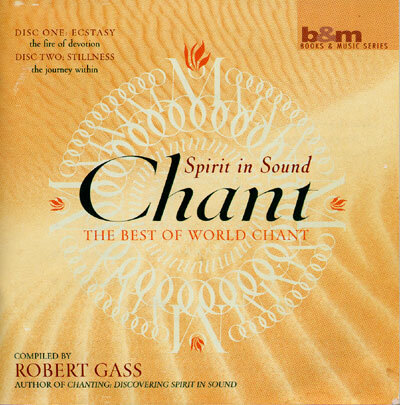 Chant: Spirit in Sound - The Best of World Chant, is a powerful living experience of this ancient and universal art. An important tool used by people everywhere to heal the body, quiet the mind and bring the sacred into daily life, chanting speaks to modern audiences with a purity and spirit increasingly rare in contemporary culture. With chants from Christian, Jewish, Budhist, Hindu, Islamic, African, Native American, Goddess, Shamanic and other traditions, Chant guides us on a journey to community and spirit.